Jersey's top try-scorer Drew Locke will leave the club at the end of the season to join fellow Championship side London Scottish. 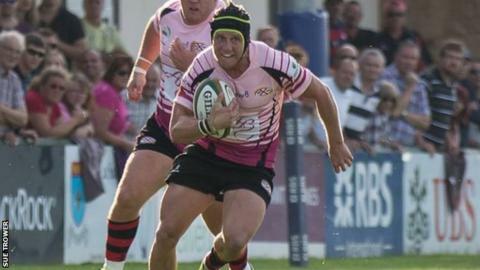 The 28-year-old former Cornish Pirates centre is making the switch for family reasons after two seasons with the islanders. "I'll be very, very sad to leave Jersey - it's been a great club for me," Locke told BBC Radio Jersey. "It's not due to rugby reasons, it's more to do with the family." Locke's eight tries this season have helped Jersey to eighth spot in the Championship, avoiding the relegation battles of the past two campaigns. "I've really enjoyed being at Jersey and I've only missed one Championship game since I've been here," he added. "I love the supporters and I'll be sad to leave because this is a club that's definitely going places."